How Safe Are Your Assets in the Cloud? The cloud environment is elastic and moves fast. That elasticity applies to cyberattacks just as much, so it is critical for enterprises to have visibility into all the data that crosses its network. While moving workloads and applications to the cloud brings flexibility and agility, it also introduces multiple points of attack. Enterprises need to now monitor public cloud providers in addition to their internal private cloud network. From a security perspective, the cloud adds complexity. It doesn’t matter if an enterprise is moving a web server or critical business applications, they must ensure the same level of performance, security and compliance. In a traditional data center, these needs are met with robust tools that provide a zero-packet loss, application aware visibility network. When moving to cloud environments, access to packet data is typically limited, but the need for visibility remains — including the ability to see active threats, diagnose problems and continuously monitor applications. As more enterprises become “cloud-first” in their business strategies, their thinking is shifting to figuring out their security policy before migration — because they are realizing in the cloud exactly how much they can’t see. When migrating to cloud environments, visibility is not just a nice-to-have, but a must-have for all organizations. Cloud computing is not a simple IT initiative — the move oftentimes leads to ubiquitous access that introduces risk to information being stored in cloud environments. In a recent survey conducted by Dimensional Research, which polled over 350 IT professionals in companies larger than 1,000 employees, over 90 percent of IT professionals stated that their top priorities related to public cloud environments were securing data and applications and satisfying compliance requirements. When IT teams have to shift between several different infrastructures to accommodate the cloud, it is likely that they will run into additional security roadblocks. Frequently, enterprises migrate to the cloud with built-in assumptions resulting from the past experiences of their on-premise data center. They believe that they can use their data center infrastructure and tools in the cloud. IT teams assume visibility will be easily accessible, but when renting infrastructure from a public cloud environment, they realize they don’t have the same level of access and visibility. The cloud hosting environment is mostly the same as hosting in a private environment. However, mostly is not the same as exactly. This can be a challenge when handling elasticity and constant change in a cloud environment, especially when using processes or solutions built for a traditional data center. 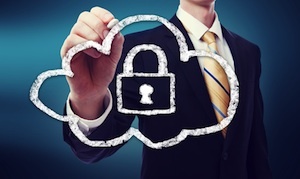 As enterprises make their move to the cloud, their security teams need to get involved early. As security tools are chosen, packet-level access and auto-scaling are critical features that cannot be overlooked. The last thing an enterprise wants is cloud visibility that needs constant reconfiguration every time traffic capacity grows. Believe it or not, many cloud visibility products in the market do not scale automatically. One of the things that enterprises can do early on is to choose tools that are cloud-ready. A SaaS model with set-and-forget configuration is much easier to manage than ones that require lots of initial setup and continuous reconfiguration as traffic flow and application features grow. Ultimately, you want to use a unified set of tools across your physical and cloud environments. There is a belief in the market that existing data center tools can be transitioned to the cloud. This sounds good but unfortunately leaves a lot of gaps – which creates security vulnerabilities. Security team involvement in the beginning of a migration forces the team to think through which security tools can be leveraged and how best to integrate them. Cloud environments provide flexibility, speed and scalability to vital applications and services — which is critical in today’s digital economy. Almost fully secure is the same as not secure. Without visibility into all the data flowing in these environments, both security and application performance will suffer. Without visibility, your security teams are more likely to over or under invest in your company’s security infrastructure. That is a big risk to take. You need to detect and prevent data leakage, ensure policy enforcement that protects devices, and protect systems from unauthorized access. You cannot afford gaps. Plan for visibility up front, loop it into the overall security conversation, and you will eliminate blind spots across all environments - cloud or physical or hybrid. It is the smart choice.